BBC News made a story about our film and it was the most watched story of the day on BBC News! Children of the Snow Land will be released in UK cinemas from March 2019, starting with a Gala Premiere at Curzon Soho cinema. Tickets for the Gala Premiere are available at the Curzon Cinema Soho website. We're delighted to announce that Children of the Snow Land will be broadcast on the TV channel Arte. Both Arte France and Arte Germany will show the film. See our screenings page for details. Deeply honoured that the Vice President of Nepal came as guest of honour to a special preview screening of Children of the Snow Land, accompanied by special guests the ex-Prime Minister and ex-Foreign Minister and Mayor. The event was hosted by Miss Nepal. 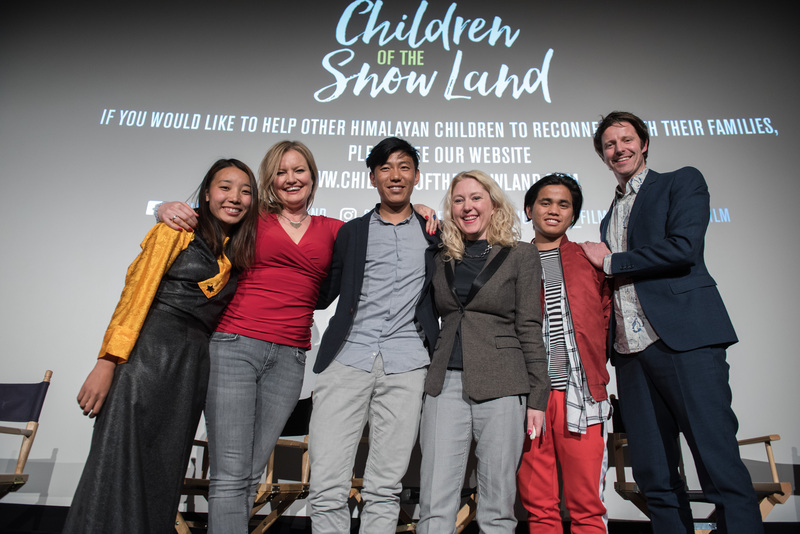 Proceeds from this special screening go direct to help the Himalayan children living and studying at Snowland School, who are separated from their parents from age 4 to age 16 so that they can get an education. We're delighted to be screening as part of Banff Mountain Film and Book Festival. We've won the BEST INTERNATIONAL DOCUMENTARY Award at DOC LA Film Festival in Los Angeles. We're very thankful to the festival and delighted to win this wonderful award. One of our editors, David Potter, was there to collect the Award. Children of the Snow Land soundtrack album available now on iTunes and Spotify. 13 tracks of relaxing, original musical, evoking the journey of our brave children across the Nepalese highlands.